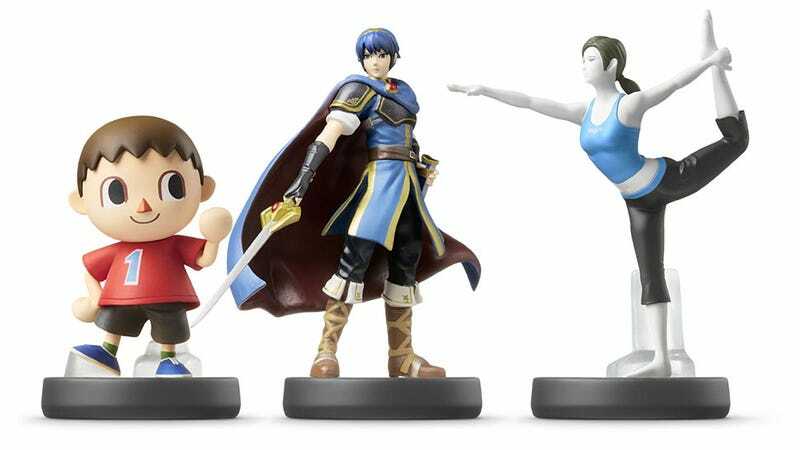 Following a tweet over the weekend from Canadian game store Video Games Plus indicating the Marth, Wii Fit Trainer and Animal Crossing Villager Amiibo figures had been discontinued, Nintendo tells Kotaku that some figures "likely will not return to the market" once their initial shipment sells out. "Nintendo has officially discontinued Marth, Wii Fit Trainer & Villager amibos. Sorry folks these are gone forever" read the tweet from Video Games Plus, followed by shocked and disbelieving comments. These figures, part of the initial 12-character run of Nintendo's Amiibo line of interactive toys, were only released a couple of weeks ago. Could they really be discontinued so quickly? "We will aim for certain amiibo to always be available. These will be for our most popular characters like Mario and Link. Due to shelf space constraints, other figures likely will not return to the market once they have sold through their initial shipment." Nothing concrete, but if I were a collector I'd make sure I got my hands on those three before the prices start to skyrocket.